After five years, Knife Rights finally got its day in court in its Federal Civil Rights lawsuit against New York City and District Attorney Cyrus Vance, Jr. Last Thursday’s oral argument wrapped up the actual trial in our long-running battle against New York City’s unconstitutional enforcement of the state’s gravity knife law against owners of common folding knives. This was likely the first time a federal judge ever handled a true gravity knife (a German paratrooper knife) in any federal courtroom. That watershed moment came during a demonstration by Knife Rights Chairman Doug Ritter and Plaintiff’s attorney Daniel Schmutter of the operation of three true gravity knives and eight common folding knives with bias toward closure. The 11 knives were selected from a total of 15 knives that were brought to court by Knife Rights in compliance with an order from Federal District Court Judge Katherine B. Forrest. The purpose of the knife demonstrations was to contrast for Judge Forrest the differences in the operating characteristics of true gravity knives compared to common folding knives with a bias toward closure. A true gravity knife, such as that German paratrooper knife, is what legislators had in mind when the statute was passed in the 1950s. True gravity knives open easily by gravity or with minimal centrifugal force the exact same way every time for every person. Common folding knives with bias toward closure cannot open the exact same way every time for every person due to the inherent variability of the bias. Because of this, New York’s “wrist flick” test is inherently subjective, variable, inconsistent, and therefore unconstitutionally vague. The demonstration for Judge Forrest showed her that two individuals had varying degrees of success performing the New York City “wrist flick” test on the exact same common folding knives — points that are critical to Knife Rights’ void for vagueness claim attempting to have the “wrist flick” test declared unconstitutional. Under current interpretation of New York’s gravity knife statute by the courts, all that is required for a person to be found guilty is that a cop or prosecutor can demonstrate to the judge that the knife opens with a “wrist flick,” even if the knife’s owner cannot do so and even if it takes multiple attempts to succeed in the test. A recent ruling by New York’s highest court confirmed that even if the knife’s owner had no idea it was even possible to wrist flick the knife open and had never tried to do so, it does not matter. There is no test that can be performed, or any other means, for any person in New York to be assured that any common folding knife with bias toward closure and a locking blade is not an illegal gravity knife as long as some other person, and in particular some New York cop with more experience, more skill or more strength, can successfully “wrist flick” the knife open. Whether any of this really matters is now in the hands of New York Governor Andrew Cuomo. Knife Rights’ Switchblade and Gravity Knife Law Reform bill that is headed to his desk would put a stop to the unconstitutional wrist flick test by specifically exempting folding knives with a bias toward closure from the definitions in the statute. According to The Village Voice article published two years ago, over 60,000 persons had been prosecuted in NYC over the past decade with the rate doubling in the last five years of that review. We can readily extrapolate that number to be in excess of 80,000 prosecutions today. Finally, we’d like to again warn those living in or visiting New York City that it has an under 4-inch blade length limit and also requires that any knife be carried COMPLETELY CONCEALED and not visible. The most common cause for a stop and subsequent confiscation or gravity knife arrest is a knife clipped to the pocket, which is illegal in NYC. Using the City’s “wrist flick” test, any lockblade knife could potentially be claimed to be an illegal gravity knife. It isn’t over until it’s over, and Knife Rights continues to be the one organization getting it done for knife owners in America™. Our tenacity and perseverance exemplified in this case over the past five years, including two previous attempts to remedy the situation via legislation and a successful appeal in the federal lawsuit, is only possible with your generous support. 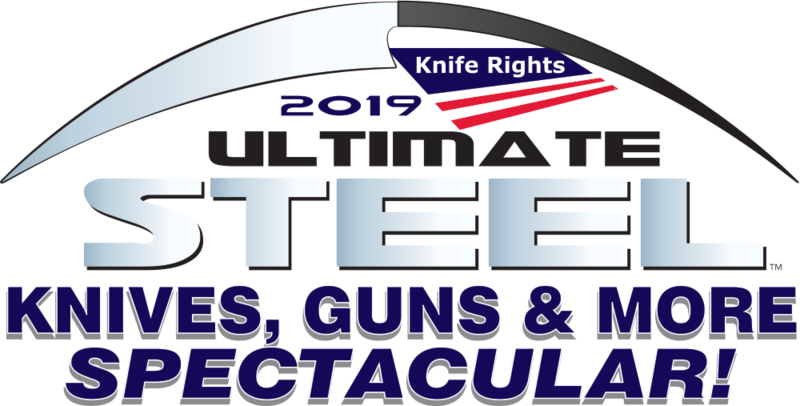 Help Knife Rights continue to forge a Sharper Future for all Americans with a donation in the Ultimate Steel™. You could win your choice from over $170,000 in prizes in the Main Drawing PLUS all who donate between now and July 31st are also eligible for the Tail End Drawing with its own separate pool of over $7,000 in prizes. June 10, 2016: Attorneys representing Knife Rights’ plaintiffs and the defendants New York City and District Attorney Cyrus Vance, Jr. will square off in Federal Court in Manhattan on Thursday morning, June 16. The oral argument portion of the trial on the merits will finally be held before U.S. District Court Judge Katherine B. Forrest five years after our federal civil rights lawsuit was originally filed. The public is welcome to attend (for details CLICK Read More >>>> below). Over the past few months a Trial on the Papers has been conducted on the actual merits of the case, laying the foundation for next Thursday’s oral argument. Knife Rights’ plaintiffs John Copeland, Pedro Perez, and Native Leather are being represented by Daniel Schmutter of Hartman & Winnicki, P.C. Judge Forrest had originally dismissed the case in 2014. Last September the U.S. Court of Appeals for the Second Circuit unanimously ruled that the lawsuit would proceed, reversing the Judge’s erroneous dismissal of the case on procedural “standing” grounds that the claims were not specific enough to proceed because they did not identify specific makes and models of folding knives at issue — even though the very inability to determine which knives would be arbitrarily deemed “illegal” is the basis of the lawsuit itself. 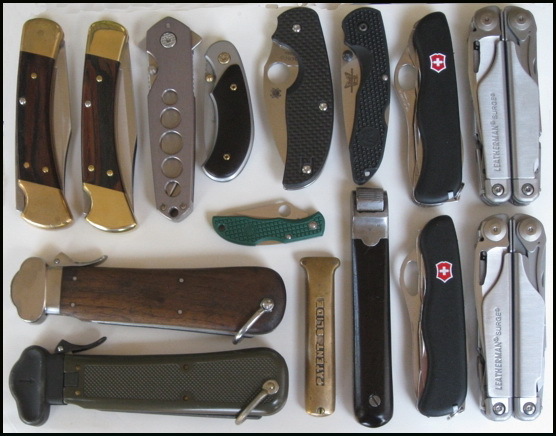 The Second Circuit agreed that specific knives need not be identified for the case to proceed. An Amicus Curiae (Friend of the Court) Brief was filed in the case by The Legal Aid Society, the oldest and largest private non-profit legal services agency in the nation and New York’s primary public defender. At Thursday’s hearing, Judge Forrest is also expected to consider whether to accept or reject the amicus curiae brief.